Michiko (Kyoko Fukada) is single and jobless since her employer went bankrupt. She likes to eat meat most of all, but can only afford cabbage, as she struggles to get a new job and her savings dry up from spending money on a younger men. With no boyfriend, no job and no money, Michiko is hopeless. She only has her passion for eating meat. 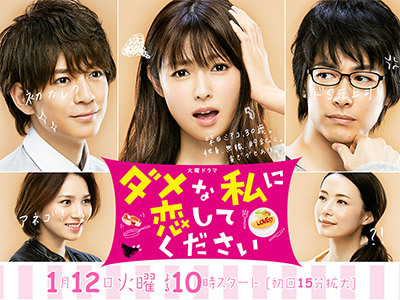 One day when she tries to steal cat food from a stray cat, she comes across with her former boss, Ayumu (Dean Fujioka). After taking Michiko to his cafe, "Sunflower," Ayumu suggests her to work there. While Michiko is delighted to have a job again, she is also worried about working under Ayumu who was strict and abusive at their former office. 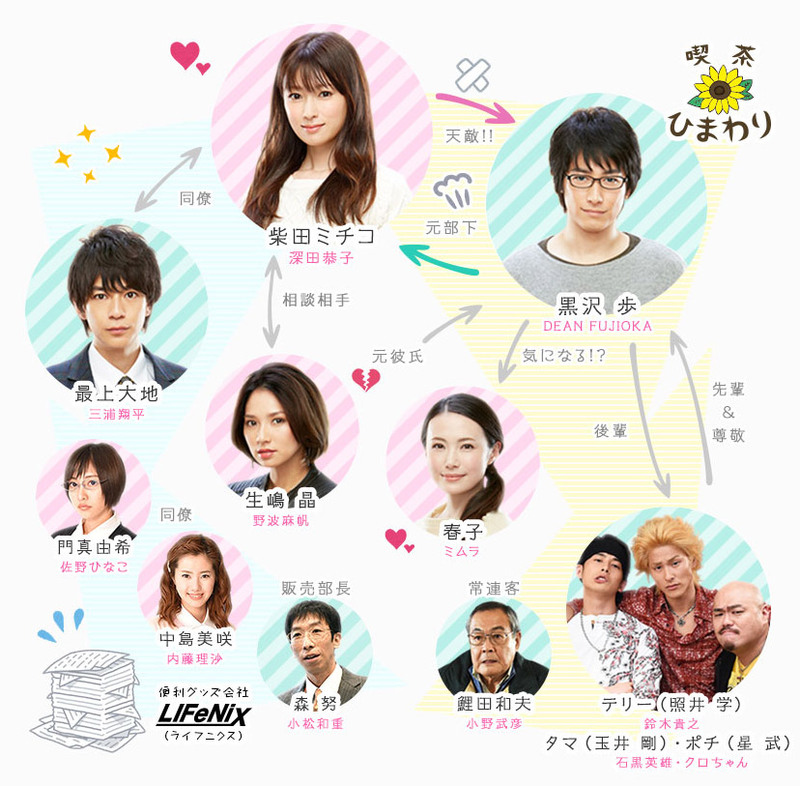 At "Sunflower", however, she starts to discover a different side to Ayumu. After watching Kyoko Fukada's cameo in Galileo crime dorama, I look forward to giving her a second opportunity, after that horrible crap called Friends. Beauty as hell, but bad actress, it's time to see if she can surprise me in this new show, 14 years after Otousan and Friends. First of all, I have to say that yes, she surprised me a lot, I haven't been able to recogniza her, I know she is Kyoko Fukada because is in the credits, but she doesn't look like "she of the past". I don't know what kind of face cirugy made to herself, but this Fukada 2.0 is hotter now, an impressive beauty. However my surprise was double when I saw her way of acting, it has improved a lot. I still think she is another person and no the previously known as �[�L����. About the dorama, it's quite childish, but seeing that is a show based on a shojo manga where the main character loves eating meat, that is normal. So I already expected that. Anyway, it's easy to watch and not so boring. if 5-9 is your cup of tea, this is probably is too. love comedy. is funny as well. i think it will appeal to fans of idols as some parts are resounding. OMG I love this drama!!!!! !